Great news for those planning to visit Batanes, Coron or Boracay! Skyjet promo fare 2017 for BATANES, BORACAY CORON, or SIARGAO are now available for booking! 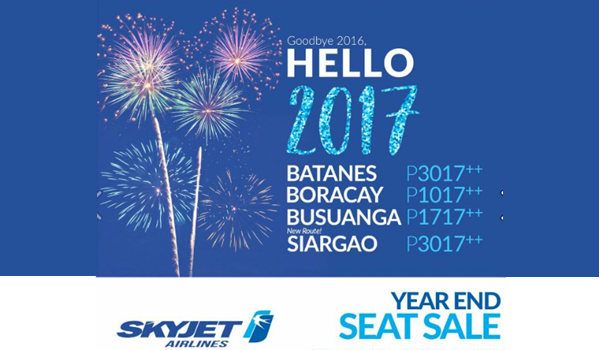 The Skyjet Year End seat sale are good for June, July, August, September, October 2017 for the routes Manila to Batanes, Manila to Boracay, Manila to Coron and the new route of Manila to Siargao. Skyjet promo tickets for these captivating places covered the base fare, VAT, free 5 kilos hand carry bag and checked baggage allowance of 10 kilos (for adults) and 5 kilos (children). Booking for the Skyjet seat sale is from December 30, 2016 to January 2, 2017. Fly to enchanting Batanes for as low as P3,017 base fare! Here are sample tickets we got via online booking for Manila to Batanes and Vice versa. Low fares of Skyjet covers the base fare. 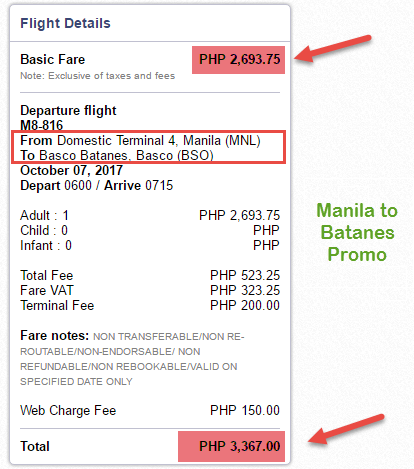 Taxes and fees, web admin fee and terminal fees for Manila airport and the outside airport are still to be added to the fare. 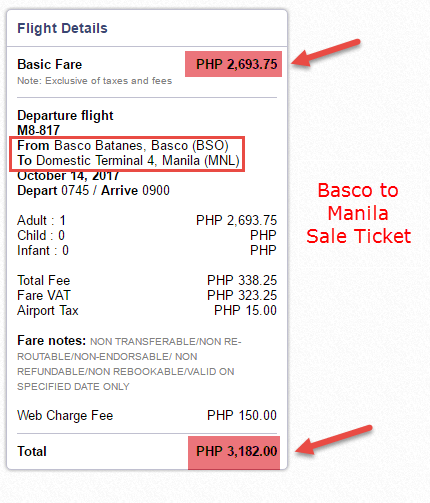 Excess checked baggage price is charged at P150 per kilo (VAT included). Get your Skyjet promo tickets by booking online at www.flyskyjetair.com or calling (02) 863 1333. For more promo fare to Boracay, Batanes, Coron or Siargao, LIKE and FOLLOW us in Facebook: PISO FARE Ticket!! !